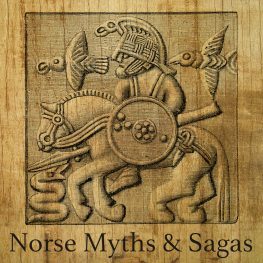 This course provides an introduction to the myths and sagas of medieval Scandinavia. It examines the roots of this literature in the meeting of indigenous mythological and legendary traditions with the textual culture of medieval Christian Europe and the development the prose sagas of Norse kings and Icelanders. The course focuses on readings from authentic texts in translation but also discusses the wider cultural and historical context, including consideration of echoes from the medieval Norse literary tradition in modern culture and fiction. This course includes two live 90-minute lectures per week with one 60-minute discussion session as assigned. Students may use the print, e-book, or free online texts for all required texts. The print and e-book translations linked first are preferred, but free online alternatives are also acceptable. Further required and suggested readings will be provided by the course instructors in the final syllabus.